As the current trend for smartphone design looks towards a minimal bezel and all-screen approach to the front of the device, Android manufacturers are fighting for solutions on where to place the fingerprint reader. Samsung has been pushing hard for an innovative solution, but it looks like Galaxy S9 is going to miss out. Last week saw the suggestion of Samsung using a very small fingerprint sensor mounted in an Apple-styled notch at the base of the screen. 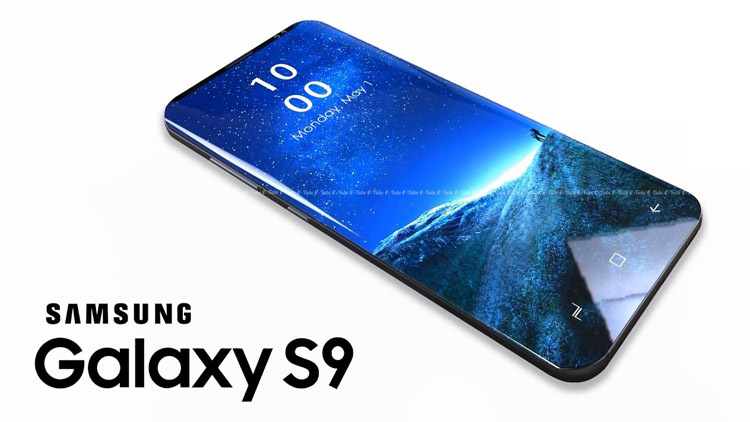 This would allow the Galaxy S9 to offer a good impression of an ‘all-screen’ display and keep the fingerprint sensor on the front of the device. That approach now appears unlikely in the Galaxy S9. Samsung followers may have to wait until the Galaxy Note 9 to see any form of embedded sensor in the screen. From a commercial point of view this makes sense. Samsung will not want to risk adding new technology that may not work as advertised to the Galaxy S9, the flagship smartphone is an important part of the financial portfolio. The Galaxy S9 and Galaxy S9 Plus is expected to launch in mid-February 2018, just before Mobile World Congress, with retail availability in March. No doubt the first production samples will start to leak out in the next few weeks. One look at the design of the rear of the handset will answer the question about the fingerprint sensor location, and the personal security route that Samsung will be exploring in 2018.